Yesterday I began with some eye-rolling as I listened to a longish piece on CBC Metro Morning radio about vegetarian dog food. I love the CBC but c'mon. Then I heard the same guy interviewed again on Ontario morning! I actually took a bit of a CBC Sabbath on my drive to Kingston and tentatively tuned in on my return trip. I'm glad I did. 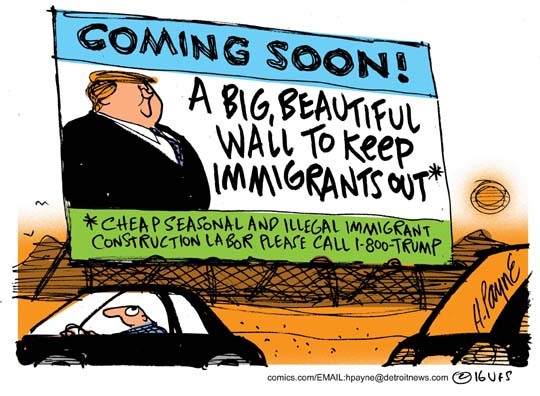 I heard the Out in the Open interview with Francisco Cantú who worked for four years as a US border agent beginning in 2008, well before the Trump promise of a "big beautiful wall" between the United States and Mexico. 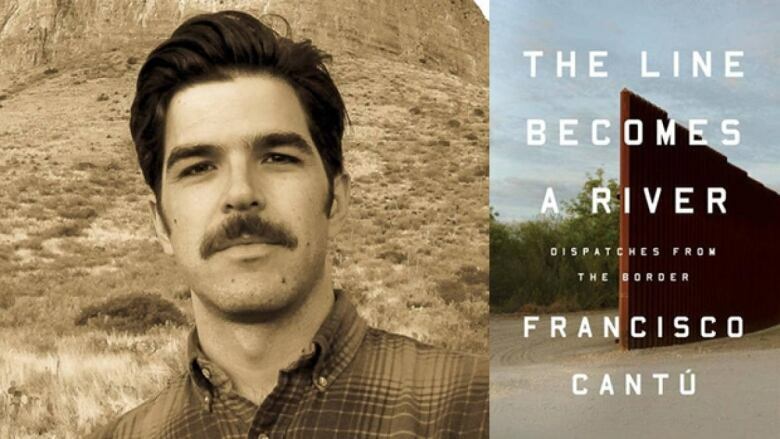 Even back then he he witnessed a "culture of destruction" in the border patrol that was jarring to him: "I saw people destroy people's belongings out in the desert … I saw agents strewing [people's] clothing out across tree tops and rocks … and crushing people's food to sort of drive them out to the road and give up their crossing." Most of these people attempting to sneak into the United States do so in areas that are remote and dangerous. Hundreds die every year and destroying water containers can be a matter of life and death. These behaviours are also technically against policy. But Cantú remembers, as a junior agent, being encouraged to do them. He describes the patrol as being trained in destruction and a "wild west mentality." He realized that each of these undocumented migrants had a story and that lumping them all together as "illegals" and as statistics denied their humanity. There are faith groups which are doing the opposite of the border agents, going into the desert and leaving caches of water and food so that people will not perish. Despite the humanitarian intent this activity is illegal and those who engage in can be charged. Nine members of the group, No More Deaths, were charged earlier this year. Perhaps we can all pray for the migrants, for those who come to their aid, and that there be a more compassionate official response to this activity. With Trump in charge, the latter may be praying for a miracle.